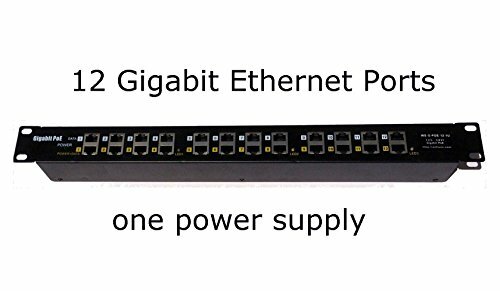 Replace up to 12 individual injectors with this single gigabit POE module. Two power supply inputs Mode A: provides power on the data lines 1 and 2, and 3 and 6. This is used by all 802.3af (48 volt) systems. Mode B. provides power on the data lines 4 and 5, and 7 and 8. This is used by 24v systems like Mikrotik and Ubiquiti . We offer 24v, 48v and 56v supplies, with 60 and 120 watt versions, also 1 and 6 port versions.